What Do We Really Know About The Ocean Floor? Over the last two years, there’s been some huge break-throughs. 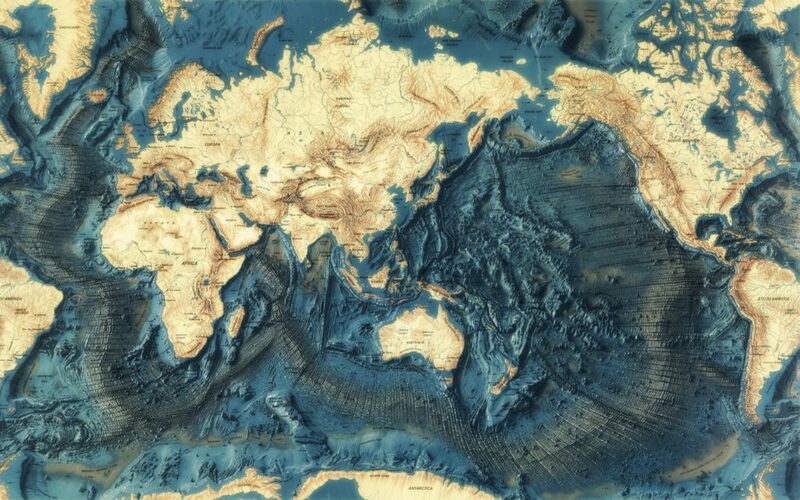 The National Oceanic and Atmospheric Administration (NOAA) released a 3D, interactive map of the ocean floor in 2014. It combines surveying missions dating back to 1937, and is actively being updated. They recently added satellite radar altimeter data, and that greatly improved the accuracy of it. It uses a picture of the sea surface that reflects features of the sea floor far below. Noe it’s twice as accurate as past surveys and significantly more regions have been mapped. So now we are starting to pinpoint previously unknown ridges, shelfs, volcanos, for example there is a 497-mile (800 km) ridge in the South Atlantic Ocean that formed after Africa and North America rifted apart.